Hydroponics gardening is easy, once you learn the basics and have spent a little time fine tuning a system that works for you. Fact is, much of the work is in learning all the basic info, setting up, and adjusting your first system. These pages will help you do just that. How to get hydroponic nutrients and water (also called nutrient solution) to your plants requires a look at the different hydroponic gardening systems. As you look over each type of system, you will see how each one addresses these three concerns. There are as many ways to deliver the nutrient solution to your plants as you can possibly think of. For our purpose here, lets take a look at the main ones. Visit the pages below for a crash course on each hydroponics gardening system type. One thing to consider if you are building your own homemade hydroponics gardening system is the cost of "disposable" grow medias. 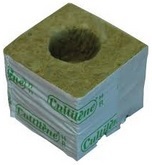 Even a modest 4ft x 8ft garden could cost you a couple of hundred dollars every grow cycle to replace the old rockwool with new rockwool (for example). Coconut coir has the same drawback. 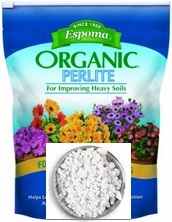 Soilless mixes using perlite and vermiculite, either together or by themselves, can be washed and re-used once or twice. After that you begin having problems with algae, fungus gnats, and disease from decaying bits of organic matter from the previous crops (and so should be replaced with new grow media). Clay pellets and lava rock (pumice) can both be washed, rinsed, and reused indefinitely. Designing a hydroponics gardening system around one of these grow medias is the most affordable way to go....with just one exception. Aeroponic systems and deep water culture (DWC) systems both grow plants directly in water and air, leaving no grow media to be maintained or replaced. 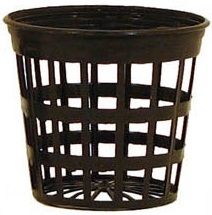 When I build a homemade hydroponic system, I use netted pots as small as I can get away with. My goal is to grow as much of the root system as possible in Oxygen rich water beneath the plant (my system of choice being a DWC system). The netted pots are just there for a small amount of physical support. The exact size of the netted pots differs from system to system....and I use expanded clay pellets to secure young plants in their netted pots before going into the hydroponic system for the first time. Expanded clay is cheaper than volcanic rock and lasts nearly as long. The end result is that my systems have no disposable media to maintain or replace. The small amount of reusable media in any particular system is reduced to a bare minimum. Therefore the total expenses to operate my systems have been reduced to a bare minimum, and the amount of time and energy it takes to maintain my hydroponics systems have been reduced to a bare minimum as well. Some homemade systems are more difficult to put together than others. 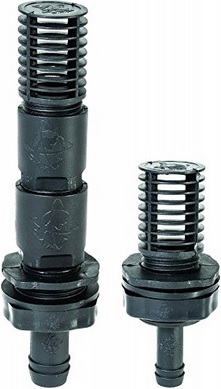 Most aeroponic systems, for example, I would recommend that you just buy. They can often be expensive to build, and it is difficult to match the technical specifications and capabilities built into a store bought system. A small flood and drain (aka ebb and flow) system, on the other hand, can be put together for less than $100 and will work just fine for a small home hobby garden. The biggest expense is a good water pump. A 300-400 GPH pump is ideal for a small garden between 4 x 4 and 4 x 8 feet. If you want to go this route, brush up on all the basics, then visit my homemade hydro page. The best of both worlds. Organic hydroponics is simply hydroponics in which the nutrient solution is made with organic fertilizers. You get all the benefits of hydroponic gardening, AND all the benefits of organic gardening. There are some special considerations with this approach, however. Most organic fertilizers will clog your spray heads and drip emitters. 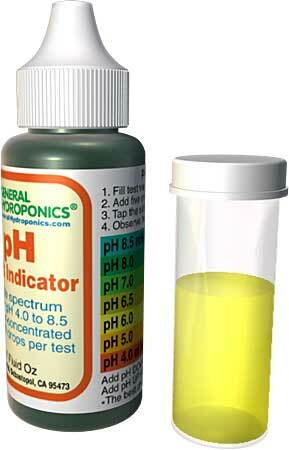 General Hydroponics makes a great organic hydroponic fertilizer that will not. Follow this link if you are interested in organic hydroponics. When plants do not have to grow roots down into the soil to "mine" for food, they use that extra energy to grow extra fast above ground. These faster growth rates are the biggest attraction to hydroponics gardening in general, and to aeroponics in particular. However, if conditions are not kept just right these fast growth rates can also be your biggest problem. The only way a plant gets to thrive is for you to keep giving it EXACTLY what it needs EVERY DAY (get a TDS meter and a pH meter and use them every day). If you don't, the plant has no other protection...no backup plan...there will be damage. Since growth rates are fast, the damage will happen quickly. For my best advice on how to keep your plants happy, see my hydroponic feeding tips page.